MINNESOTA Sofa Bed Futon with Chaise by BetaLife is ideal to save some space in your place, and to accommodate unexpected guests. Made with polyester fabric, pine wood frame, chrome finished legs, and 50D high density foam. 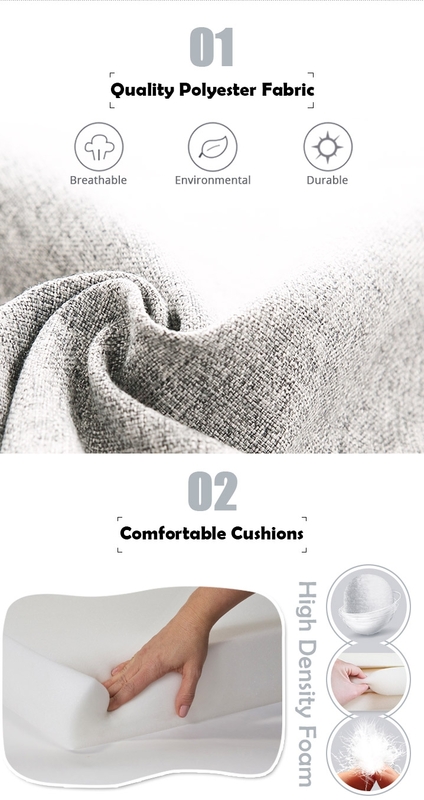 Extra thick seat cushioning for extra comfort for everyone. 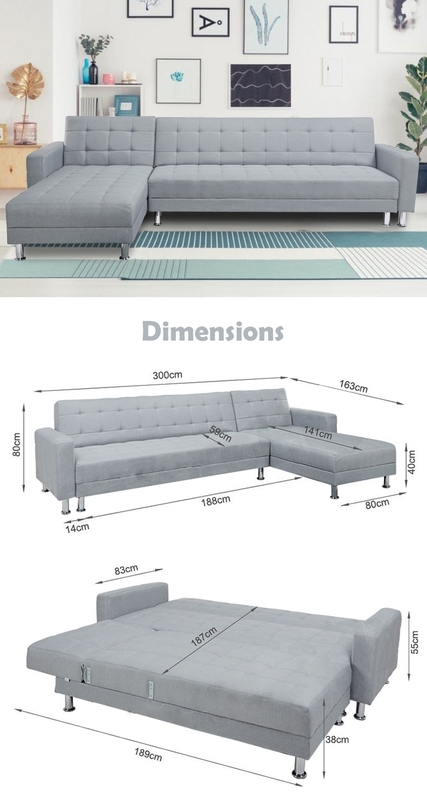 A versatile sofa bed that you could arrange into different configurations depending on your preference. 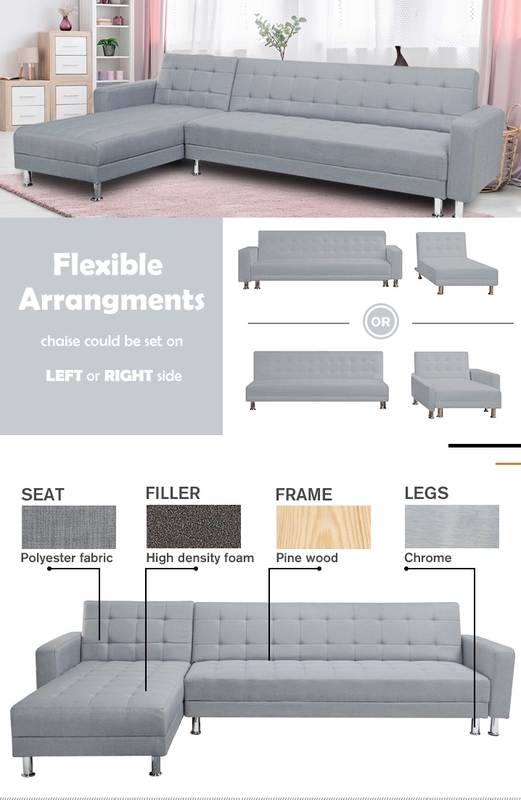 Use it as a sofa with or without a chaise lounge, place the chaise part on left or right, then just simply fold it down to have an instant bed for sleepovers. 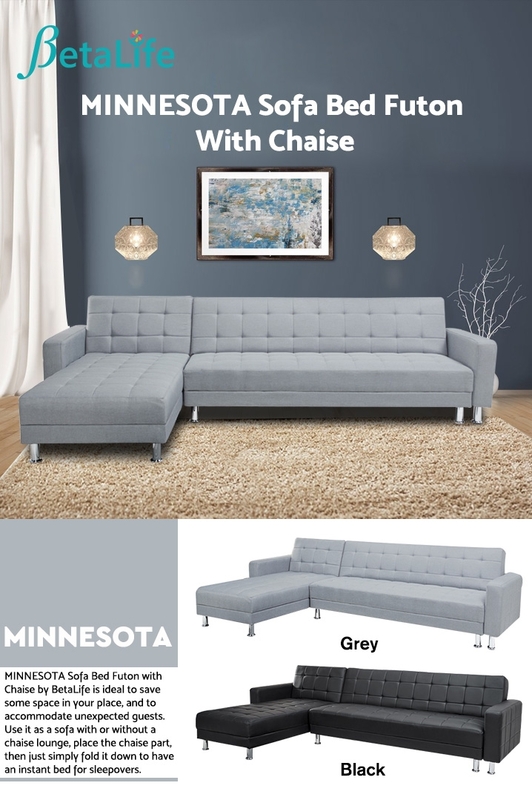 MINNESOTA sofa bed is the most practical piece of furniture you could think of and would always save you when you have unexpected guest!